1. Low voltage lights run along a wire from a transformer plugged into an electrical socket or outlet. It uses very little electricity and is very efficient, but knowing the total number of watts that you will be using, will help when choosing your transformer. Another reason low voltage lighting is a good choice for one of your ourdoor-lighting-systems is because the wiring or conduit does not have to be buried very deep. So, if you change your mind and want to include something else, then it doesn't take anytime to move things around. Low voltage is also safe for children and pets. 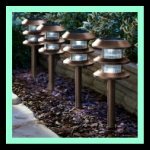 2.High voltage lighting systems are also called line voltage lighting, must have a separate circuit to your homes electrical system. It is not as safe to do yourself as low voltage and solar. If you are not comfortable with the working of electricity. It would be best to hire a licensed electrician to hook them up for you. 3. Solar lighting doesn't use electricity at all. All the power comes from the sun. Each light is stuck in the ground, wherever you want it to be. Just be sure it's in a place that receives sunlight. 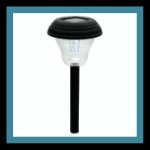 Solar lighting has improved and along with this improvement has come its popularity. They don't require big, unsightly panels to work. 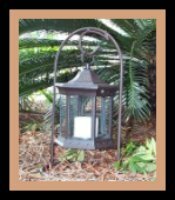 Gardeners like myself prefer the solar lighting. It is less expensive, much more flexible, and maintenance is a breeze. Using the sun to power your outdoor lights is very "heartwarming". It is nice to know that you are doing something good for the environment. LandscapeLightingshop,com. 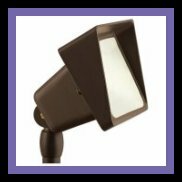 They can help you find just the right outdoor lighting systems that you need.